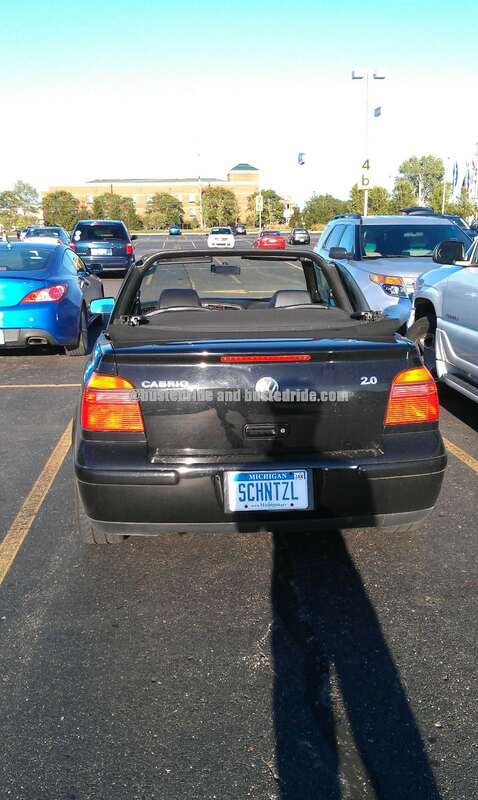 Turns out today is the very random National Wiener Schnitzel day, and as luck would have it we found Schnitzel vanity license plate out in the wild! Pretty fitting that it is on a German Volkswagen car, and you don’t often see many convertibles of those unless it happens to be a Beetle. For those of you that don’t know what schnitzel is read all about how tasty it is over at Wikipedia. How do we do it? No clue.